US President Donald Trump has said he expects to announce that 100% of the Islamic State (IS) caliphate has been reclaimed next week. He said the US-led coalition fighting the militant group had “liberated virtually all of the territory previously held by ISIS in Syria and Iraq”. “It should be formally announced sometime, probably next week, that we will have 100% of the caliphate,” Mr Trump told a meeting of coalition members in Washington. 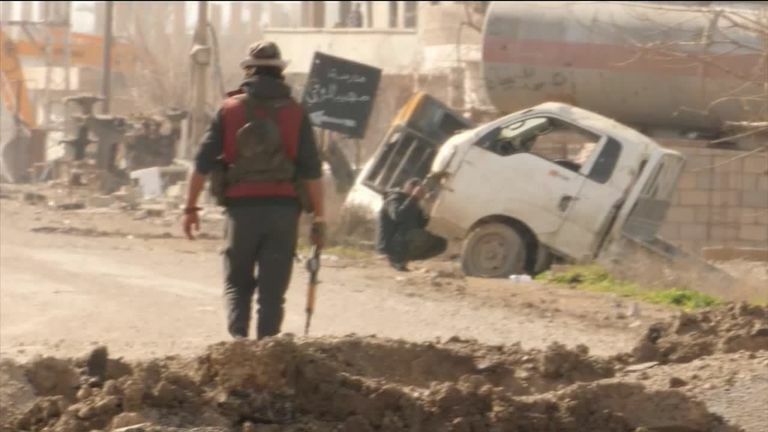 US officials say IS has lost 99.5% of its territory and is holding on to fewer than two square miles in Syria in the villages of the Middle Euphrates River Valley, where the bulk of its fighters are concentrated. IS has been using women and children as human shields as US-led coalition forces battle to rout the extremists from their final pocket of land. Coalition soldiers have suspended attacks temporarily to try to encourage civilians inside the IS enclave to come out through a humanitarian corridor they have created in the desert. Thousands have been streaming out in the last few weeks – several hundred each day, and as many as 3,000 in one 24-hour period. Mr Trump announced in December the withdrawal of more than 2,000 US troops from Syria. 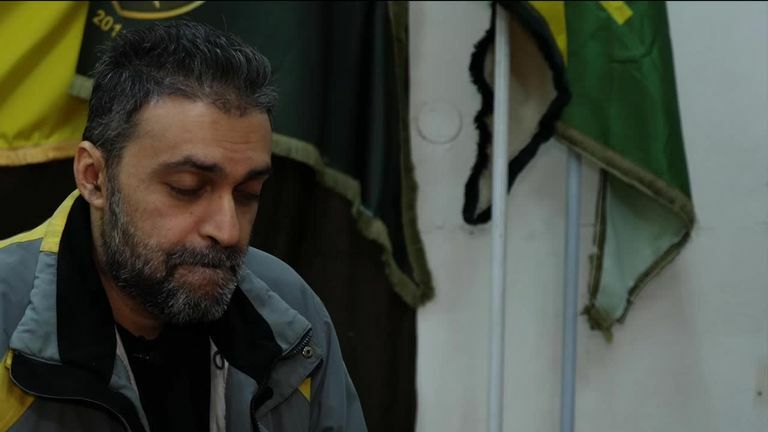 The decision was criticised by the US-backed, Kurdish-led Syrian Democratic Forces, who said it had “dangerous implications” for stability and would create “a political and military vacuum”. The move also prompted the abrupt resignation of US defence secretary General James Mattis and rattled allies around the world. Mr Trump’s latest remarks come after a government minister said British journalist John Cantlie, who was taken hostage by IS in Syria more than six years ago, is still alive. Security minister Ben Wallace gave no further details but it was highly unusual for someone in his position to comment on an ongoing hostage case. 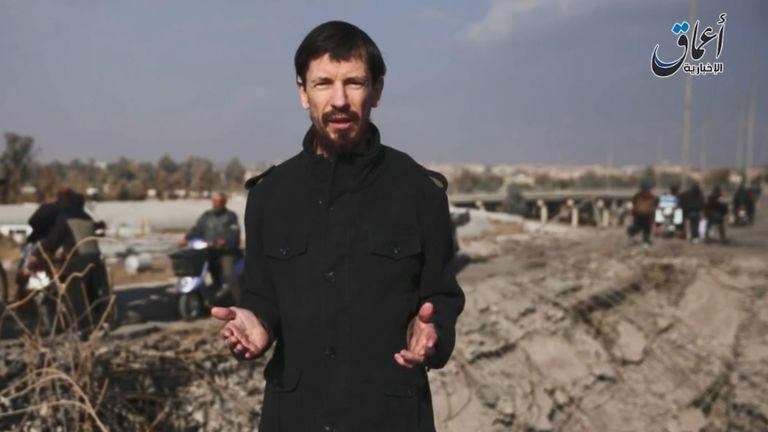 Mr Cantlie, who fronted a number of English-language propaganda videos for his captors, has not been heard from in more than two years. The UK government is giving £33m to help Iraqis whose lives have been affected by conflict, including those whose homes, livelihoods or communities have been hit by Islamic State. Cash is being provided to rebuild cities like Mosul, which were left shattered after IS fought a bitter battle with coalition forces, including the UK.